The human body has a very intricate healing process. It’s working constantly to protect, regenerate and heal. Scars are a result of this process, and occur when the skin is injured by things like accidents, disease, surgeries or skin conditions like acne. There are different styles of scar tissue, and they can appear flat and pale, raised and red, sunken or pitted, or barely visible at all. Scars cannot be completely removed, and it’s best to begin treating them as soon as they appear as this will give them a better chance of healing. There are various procedures you can undergo to reduce scar appearance, such as dermabrasion, laser resurfacing, or topical creams and ointments, but the best remedies can often be found at home. Here are 10 home remedies for scar removal. Aloe vera is an extremely popular choice of plant in phytotherapy and has been used for thousands of years, often referred to as “a wonder plant”. It’s a short-stemmed succulent native to Africa but can be found all over the world. Aloe vera has thick, serrated leaves and flowers that typically bloom in summer. There are roughly 400 species of Aloe vera, but the one that holds medicinal properties is the Aloe Barbadensis Miller, also known as the true aloe. The leaf structure of an aloe vera plant contains four layers. The aloe vera gel is on the inside of the leaf, surrounded by a tough rind and bitter sap that helps protect the plant from foraging animals. This inner gel contains the essential amino acids that make aloe vera such a beneficial healer. This gel has been used to treat wounds, burns and other skin irritations for centuries. It’s also been used to treat eczema, asthma, constipation, ulcers, headaches, arthritis and coughs. Aloe vera is also effective in supporting healthy gums and teeth, as one study published by the Academy Of General Dentistry found. 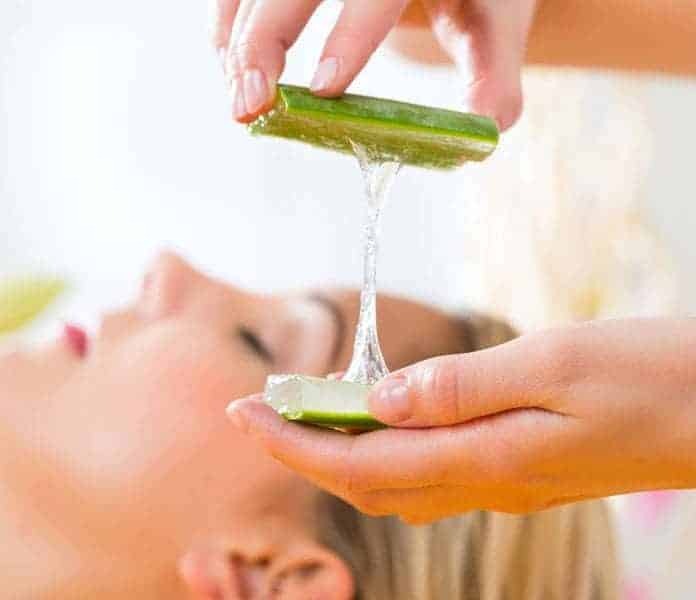 Aloe vera has been FDA-approved as both a natural flavoring and an over-the-counter medication for burns, and is also a popular addition in cosmetics and herbal remedies. It contains bioactive compounds that include vitamins, minerals, amino acids, flavonoids and polyphenols, and has antibacterial and antioxidant capabilities. Aloe vera can protect the skin from UV rays and radiation, and can even lower blood sugar levels in diabetics and those with insulin resistance. Using aloe vera gel on scars can be very effective. If you have an aloe vera plant at your disposal, you can harvest your own gel by taking a cutting from the plant and peeling back the thick outer skin. Scoop out the gel on the inside, and massage it into the scar tissue. Let it sit for 30 minutes, and then wash it off. If you don’t have an aloe vera plant, don’t despair. The gel can be bought from herbal stores and chemists with the same results. Treat your scars with aloe vera twice a day until the desired result is reached.